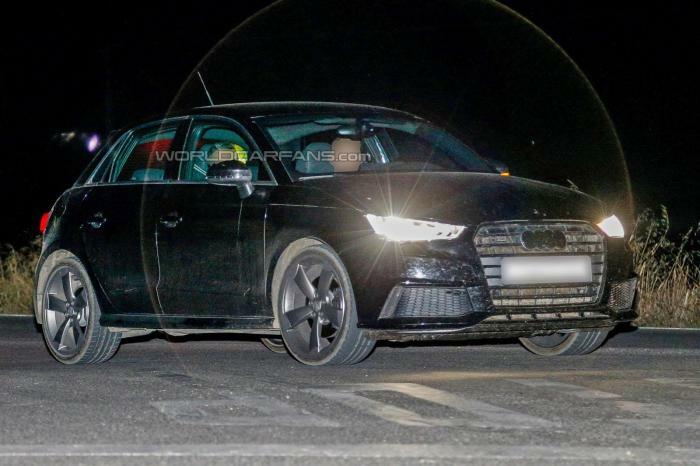 2014 Audi S1 is been there in the works to heat up the premium compact segment, and now it finally been spied without any camouflage testing at night. However, there aren’t confirmed technical specifications about this new Audi S1, but rumors are there that it may debut at upcoming Geneva Motor Show. The new 2014 Audi S1 dons flanking new front bumpers, arrogant rear diffuser, and the much sophisticated four exhaust tail-pipes at rear. The interiors of this new bug managed to remain under cover. Though, the Ingolstadt based carmaker maintained their tight-lipped posture on this model plate as well. As per speculations, some or other information official information on 2014 Audi S1 may be delivered soon. Right now it’s just the new set of spy-shots to conclude the upcoming compact performance-driven four-ringed badge.